Question: Where are door canopies produced? Door canopies are proudly manufactured in the USA however splice brackets used to achieve extended widths are imported. Question: Is a Miami Dade County NOA required for installation of a DOORBRIM door canopy? A Dade County NOA is not required because a DOORBRIM door canopy is not a structural part of the building envelope. FLORIDA BUILDING CODE AND FLORIDA ADMINISTRATIVE CODE• 61G20-3.002 Definitions. • (31) Structural component means any part or assembly of buildings that comprises the main wind force resisting system and components or cladding.• 61G20-3.001 Scope. • (1) Products in the following categories as defined by subcategories of subsection 61G20-3.002(31), F.A.C., shall be available for approval by the Commission pursuant to Rule 61G20-3.090, F.A.C., for use in the state: • (a) Panel Walls; • (b) Exterior Doors; • (c) Roofing Products; • (d) Skylights; • (e) Windows; • (f) Shutters; and • (g) Structural Components. • (2) This rule applies to approval of products and systems, which comprise the building envelope and structural frame, for compliance with the structural requirements of the Florida Building Code. Question: What kind of fasteners are available? Stainless steel 1/4” concrete screws and bonded washers manufactured in the USA are available. Fasteners meet Dade County Approval. Question: What material is used to manufacture a door canopy? Door canopies are made of durable ABS plastic. 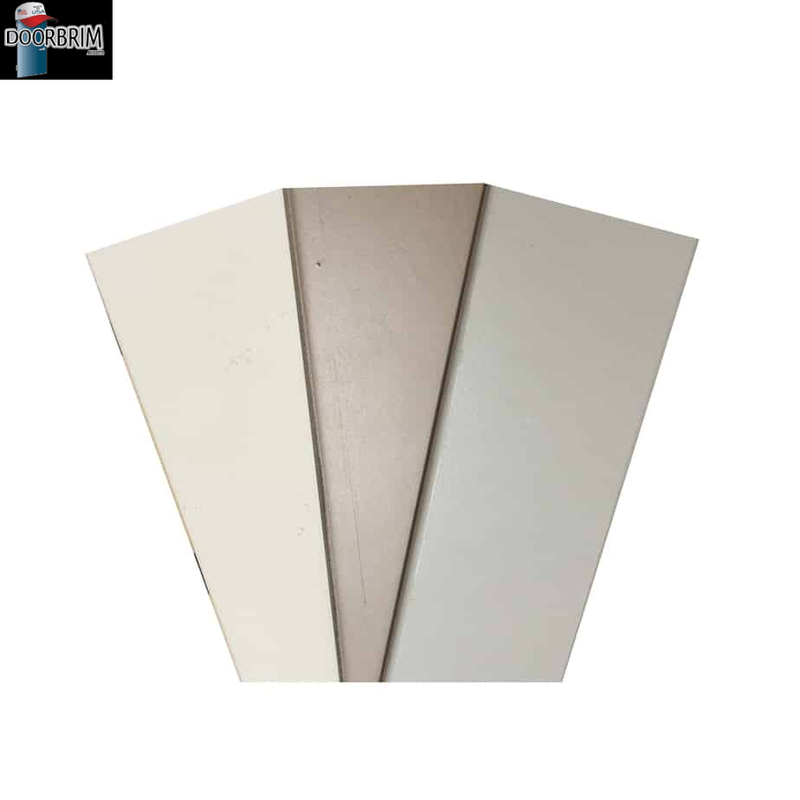 Door canopies are available in almond, beige and gray. Click to see colors. Question: What is the weight of a door canopy? 4 pounds for the lightweight version and 5 pounds for the heavyweight version. Question: How are door canopies protected against UV rays? Door canopies are painted with a Sherwin Williams two part epoxy paint containing a UV inhibitor. Question: Can door canopies be painted? Door canopies can be installed with factory paint or repainted with any latex or enamel spray paint to match your building structure. Question: What is the standard size of a single door canopy? Width equals 52 inches, height equals 7.5 inches and projection equals 7.5 inches. Question: Can the size of the door canopies be customized? Height and projection are fixed however unlimited widths can be achieved with the use of intermediate structural splice brackets for double doors, sliding glass doors, overhead doors, windows etc. Question: How hard is it to install a door canopy? Door canopies are easily installed with available caulking and concrete fasteners. Question: Can you ship door canopies internationally? Door canopies are only sold in the USA and its territories at this time. Question: How long does it take to process and ship a door canopy? Door canopies are in stock and available for immediate shipment, usually between 1 to 3 business days. Question: Do I need a PayPal account? You do not need a PayPal account to enter your credit card information on the PayPal website. Question: Can I pay by check? You can pay by check but will have to wait until the check clears for shipment of your order. Question: Can I return a custom size door canopy? Custom size door canopies cannot be returned.